Fast-Paced Battle Action And Nintendo Switch Gameplay. Koei Tecmo reveal a cornucopia of additional bonus content and collectible options available to fans who pre-order A.O.T. 2. in both physical or digital formats. Koei Tecmo also revealed the release of a Digital Deluxe version, which will include the full game and a pack of unique costumes gradually available from the game’s launch on 20th March 2018, with further content updates being added each week after! 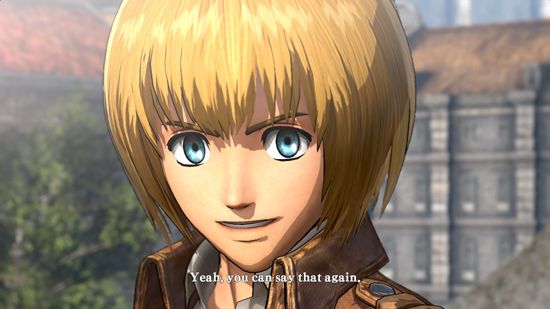 Slated for release on the 20th March 2018 for the PlayStation 4, Xbox One, the all-in-one games and entertainment system from Microsoft, Nintendo Switch, and digitally on Windows PC via Steam, players can relive the gripping narrative of the worldwide anime hit, ‘Attack on Titan’, from an all new perspective with their very own Custom Scout.